Here we introduce a flexible, solutions-oriented process for utilities to follow in developing their own community solar program plans. First, a report in presentation format: High-Value Community Solar: A Brief Guide to Utility Program Design. This guide summarizes lessons-learned and introduces the planning resources on this website. It is based on a one-day training/support module; details by request on our Contact page. Second, we introduce an archive of community solar program-design process and planning diagrams. This supports CSVP's recommendation that planners review various planning processes for ideas on how to customize their own. CSVP’s own process diagram highlights interdepartmental collaboration and opportunities for solar-plus integration. In working with utilities of all kinds, we have found that engaging other staff and stakeholders in your process is a top recommendation. A CSVP ﻿﻿expanded blog-post﻿﻿ offers practical tips and resources for addressing collaboration needs. A brief set of annotated resources on collaboration (aka, silo-busting) is included. Practical tips and case studies for community solar program design are captured in two webinars, which are archived with downloadable slides, for easy review. This report, High-Value Community Solar: A Brief Guide to Utility Program Design That Makes Community Solar Better, summarizes the CSVP program-design framework. The report is in presentation format. It references more detailed CSVP materials, most of which are available on these CSVP Solutions web pages. All six challenge areas of high-value community solar program design are covered in a generic, step-by-step process. Emphasis os on creating a successful balance between customer-drive and utility driven concerns and designing a successful community solar offer. Accompanying on-site training and support are also available, upon request. On the opening page of this CSVP Solutions Toolbox, we warned, in effect, that “The map is not the territory.” Nevertheless, we suggest that your team choose choose a program design process to start, preferably illustrated by a flow diagram. This vision of an idealized process will serve as a tool for unifying diverse team members and as a checklist for your key considerations. Below, we provide some examples. You will notice that each process emphasizes different aspects of the challenge: resource acquisition, marketing and customer acquisition, policy considerations, etc. The CSVP process emphasizes cross-departmental collaboration and DER companion measures that you can offer, in sync with community solar. The companion measures are optional, but the process stands, recognizing in any case that inputs from the marketing side and the utility side are about equally important. 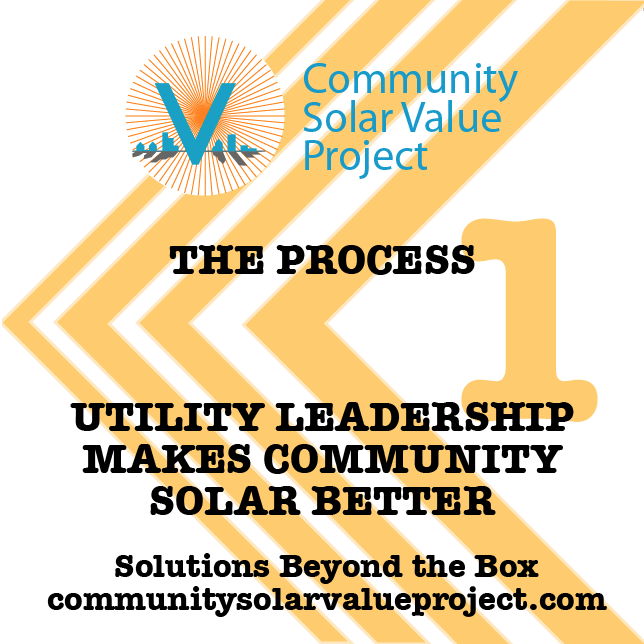 We provide more detail on the CSVP process in an expanded blog post on Cross-Departmental Collaboration and the report, High-Value Community Solar: A Brief Guide to Utility Program Design, provided for download, above. CSVP is not shy about citing other processes and resources, because we do not believe in duplicating other good work. Instead, our Solutions focus on persistent challenges that our Utility Forum members have identified and on ways to test-run the integrated solar-plus strategies that are on your utility’s horizon. The 2017 Utility Dive State of the Electric Utility Survey reported that the #3 obstacle to utility industry transformation, close behind cost and regulatory considerations, is internal resistance to change. High-value community solar offers direct benefits to the utility and its customers, and it also offers indirect benefits, as a market-based laboratory for effective collaboration and technology integration. Few customer programs today require participation from so many utility departments or work groups, extending from market research to resource procurement and pricing, to engineering and IT, to communications and customer service. Call it collaboration, or call it silo-busting. The results are quicker, more cost-effective program design and a happier, forward-leaning workplace. Resources provided here include an expanded blog that offers tips for how to “manage from the middle” if you are put in a leadership position on community solar, as well as a resource list with links to useful articles and websites. Stephen Frantz, solar strategic planner and project manger at the Sacramento Municipal Utility District (SMUD), provides insights on community solar program design and implementation during this webinar, Community Solar Lessons Learned at SMUD. The webinar opens with an overview of the history of the SolarShares program and its current composition as a six-part product portfolio. Then Stephen focuses on critical early steps—such as setting a shared vision and forming and empowering the cross-departmental team. He also gives advice on dealing with complex issues that may come up. 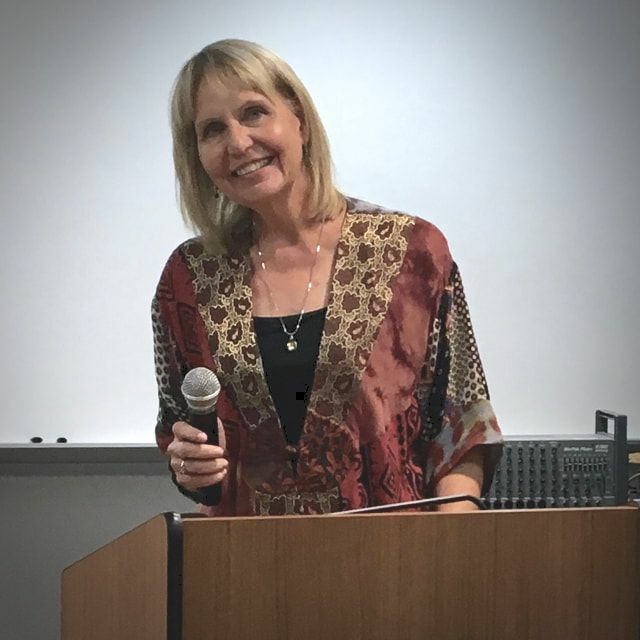 For example, SMUD is in the midst of introducing new time-of-use rates, and intends to introduce both the new rates and the new residential SolarShares program in tandem. This webinar extends about 8 minutes past the hour, in order to include longer Q&A.